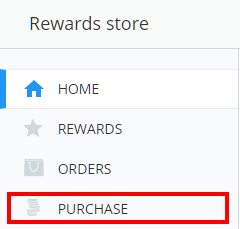 To make rewards store purchases on behalf of a student, click on the three lines menu in the top right hand corner of the page and select Rewards from the list of available options. You will be directed to the rewards store homepage. Click on Purchase from the menu on the left hand side of the page. 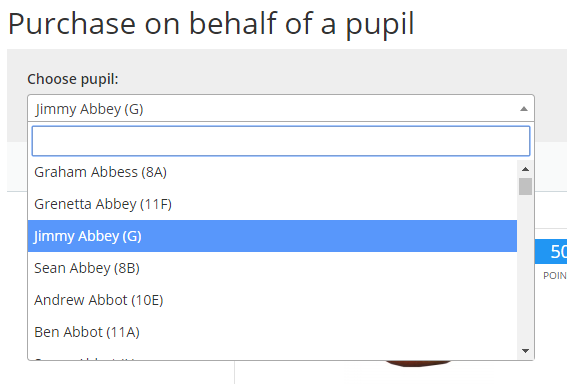 Next, select the student you wish to make a purchase for from the Choose pupil drop down menu. Once a pupil has been selected, your school's available rewards will be displayed ready for purchasing. The pupil's spendable points balance is displayed to the right. To purchase a reward, click on the Purchase button for a reward that the pupil has enough spendable points to buy. A confirmation message will appear, that shows the reward purchased on the pupil's behalf. 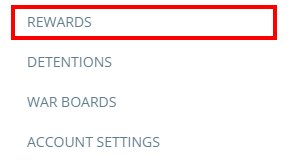 Please remember that the order will not be automatically set as fulfilled in the Orders tab, and will need to be processed by a rewards store admin.